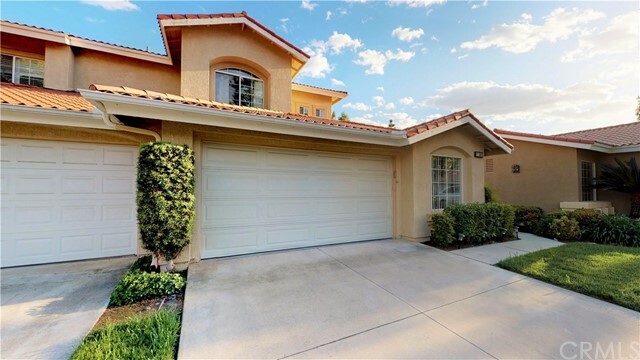 Come take a look at this immaculate home in Upland! It is a 4 bedroom 2 bath home on a nice size lot. It has an open feel from the kitchen to the large family room area, a formal and informal dining area that are wonderful for entertaining! Both bathrooms have been updated with custom cabinetry and kitchen has also been updated, it has newer windows, newer roof and more! Do you have cars you need to store? Or wanting a work shop...this home offers that with the enclosed carport/workshop in the back. The attached two car garage is fully finished with custom cabinets that will stay with the home! It also holds the laundry area--one of the most impressive garage laundry areas I have seen. Above the garage you will find a desirable attic with lighting and it's insulated! The entire home has bamboo flooring and tile. This is a lovingly maintained home with so many features I would run out of space to list them! Rather than take my word for it, come check it out! I look forward to showing you, your new home!! This Upland two-story home offers a fireplace, granite kitchen countertops, balcony, master bathroom with tile-surround shower, wet bar, backyard pergola, and two-car garage. Upgraded features include fresh interior paint. Home comes with a 30-day buyback guarantee. Terms and conditions apply. Location! Location! Location! 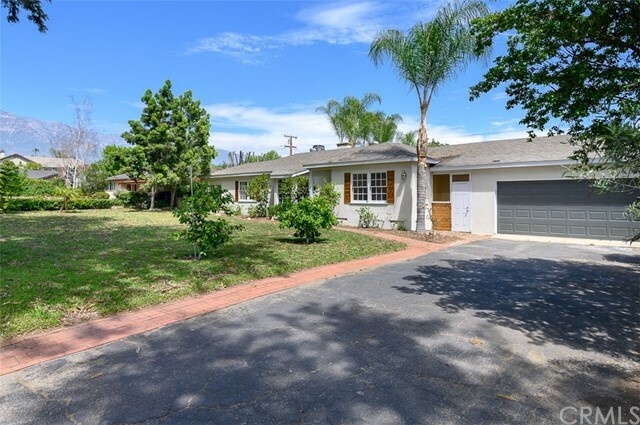 Beautifully renovated single story home with 3 bedrooms & 2 bathrooms. Countless upgrades including: Permitted New masters bathroom & Masters bedroom closet addition (approx 20 sq.ft). Permitted new water heater. Remodeled kitchen with brand new cabinets, backsplash, sink, faucets & granite countertops. Brand new kitchen appliances including dishwasher, exhaust fan & convection oven. New laminate flooring throughout, new paint throughout, new doors, new ceiling light fixtures & recessed lights. Both bathroom with brand new toilet, waterproof laminate flooring, vanity sink & faucets, shower & tub. Huge family room (462 sqft.) with new roof was permitted and included in the sqft. Huge corner lot to expand backyard. Backyard pool was removed with permit also. Centrally located within walking distance to YMCA (with basketball court, soccer court, gym & gorgeous swimming pool that is currently going through renovation), Upland middle & Upland elementary school, Upland city park, restaurants, shopping centers & across the street from Upland San Antonio Hospital. 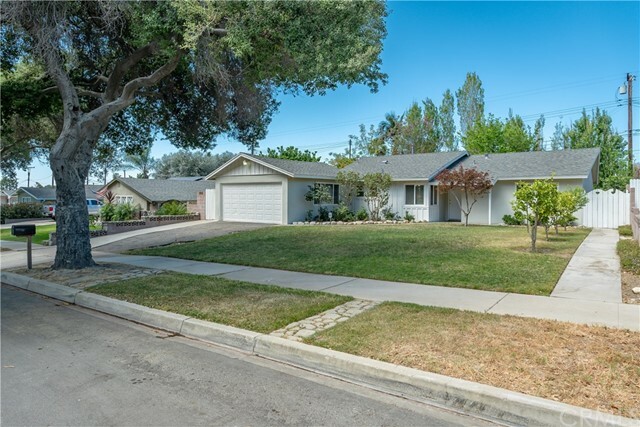 Located in a highly sought after North Upland neighborhood, this nicely maintained 4 bedroom, 2 bathroom corner lot home, on a quiet cul-de-sac offers 1,815 sqft of living space on an expansive 10,200 sqft lot with mountain views. Entering the home, you are greeted by the formal living and dining areas, complimented by a cozy fireplace and vaulted ceiling. Home has main floor master bedroom w/bathroom, 3 additional spacious upstairs bedrooms, storage cabinets and hall bath. Galley style kitchen w/plenty of counter and cabinet space is open to the informal family/dining room with french doors leading to the impressive pool sized back yard with covered patio, fruit trees, a sizable work shed and bonus...gated RV parking. The driveway has plenty of parking in addition to the attached 2 car garage with a laundry area and direct access into the home. Recent updates include new carpet and interior paint, any additional upgrades will only serve to enhance the home further. Ideally located w/near-by shopping, restaurants, schools, parks, and easy commuter access to both the 10 and 210 Freeways...a must see gem! 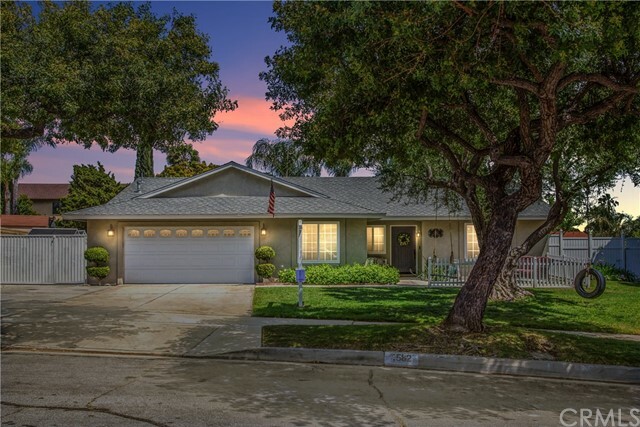 Beautiful North Upland home in a quiet neighborhood that shows pride of ownership. Home features an inviting front patio where you can rest an watch the kids play on the swings hanging from the tree. This home is picture perfect for a small family. As you enter the home, has been freshly painted with nice hardwood floors, the Living room has a gas fireplace with a large window that brings in lots of light, with recess lighting and crown molding throughout the house. A lovely arch leads you to the formal dining room with hardwood floors, which opens to the Family room and kitchen. Kitchen has granite counter and oak cabinets, with a free-standing electric stove and oven. The family room is nice size with a large window and sliding glass door that opens to the lovely covered patio. The backyard is kid friendly with lots of grass with Apple, Peach, Nectarine, Lime, Plum, and Orange trees. You will be enjoying many outdoor activities with your children and lots of BBQs. Bedrooms are nice size with mirrored closet doors, Master bedroom bathroom has been remodeled as well as the guest bathroom, Home is close to all amenities, schools, shopping, entertainment, and transportation. Location, Location, Location!! 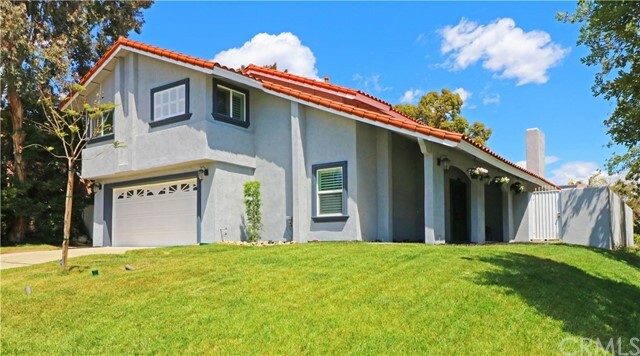 Gorgeous single story home FULLY REMODELED located in the most convenient location of Upland. 4BR/2BA with very open floor plan. Large remodeled kitchen with granite counter top and new stainless appliances. New roof, interior & exterior paint, double-pane windows and Pergo flooring throughout. Living room w/ fireplace and lots of windows. Remodeled baths with marble floor and granite counter. Inside laundry area. 2 car garage attached. Large private backyard with fruit trees and room for pool or basketball court. Walking distance to San Antonio Hospital, shopping centers, markets, restaurants, bank, school and easy access to 210 and 10 freeway. Less than 2 miles to the Metro-link station, Upland Hills and Red Hill County Club. No HOA. No Mello Roos. Show like a MODEL HOME! Welcome to your new Home in Upland Hills!! Enjoy an extremely INVITING and OPEN floor plan. This HOME is inviting from the minute you walk through the front door. 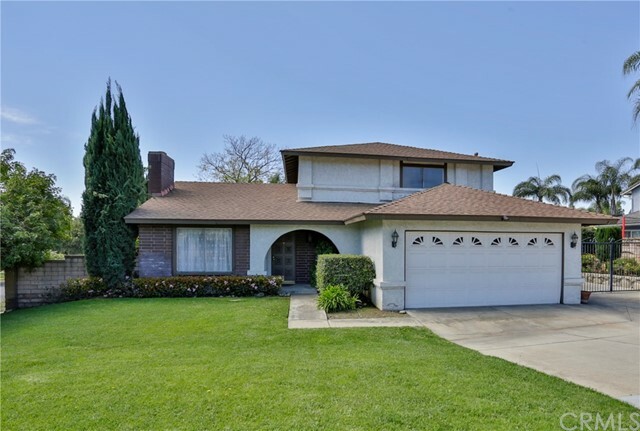 Relish an immaculate home with wide archways, combined hardwood, tile and carpet flooring. The formal living room features a 2 sided fireplace. Sliding glass doors lead to the rear patio area that has GORGEOUS golf course views. The formal dining area is under a dramatic soaring 2 story ceiling. The kitchen is a cook's dream that has been extensively upgraded with granite counter tops, stainless steel appliances, built-in 5 burner stove top, elevated breakfast bar, tilted back splash, under cabinet lighting & storage galore. The kitchen opens to the family room that is currently being utilized as another table seating area. Double doors lead you to a downstairs bedroom that can also be utilized as an office. Hardwood flooring accentuates the stairwell leading to the 2nd story loft area that overlooks the entryway and main living area. The master bedroom suite has a fireplace in the sitting area, and vaulted ceilings that overlook the golf course. Truly majestic. The master bath is equipped with a jetted tub, separate shower, dual sinks and separate vanity area. Large walk in closet with mirrored sliding doors. The covered rear patio overlooks the 14th fairway and has brick flooring set in a herringbone pattern. Indoor laundry area w/cabinetry. The garage has epoxy flooring, cabinetry and golf cart storage. This is the one!! Absolutely beautiful upgraded home located on the historic Euclid corridor. While maintaining the original charm from 1941, this home has been recently upgraded with a gorgeous gourmet kitchen with American Hickory cabinetry and custom concrete countertops. There are 4 spacious bedrooms, some with original wood flooring, and 3 bathrooms. There is a back house perfect for guests or a home office complete with a newer bathroom with custom shower. The backyard has a private sparkling pool and spa with plenty of room for entertaining. This dreamy home will not last. Lavishly upgraded two-story pool home has everything you need. Beautiful hardwood floors throughout with Italian Carrara marble baseboards, recessed lighting, crown molding, dual pane windows with plantation shutters and more! The kitchen was recently upgraded with first class stainless steel Viking appliances, white Shaker soft-close cabinets and drawers, Quartz Carrara style counter tops, free-standing island with bar seating, walk-in pantry and 6-burner Viking stove with pot filler. There are four bedrooms upstairs with one additional bedroom and bathroom downstairs. The downstairs bedroom has a bonus loft large enough for a king size bed and is great for hide-and-go-seek! All three bathrooms have been upgraded with marble and frameless shower doors. Double french doors lead to an entertainers backyard with cabana, sparkling pool and spa. The home also includes a tankless water heater, and is close to Greenbelt Park, the airport, shopping, and restaurants.